Today the #Reds claimed off waivers from the #Phillies IF/OF Richie Shaffer; claimed off waivers from the #Rangers RHP Tyrell Jenkins. On Wednesday I wrote about the possibility of the Reds picking up Tyrell Jenkins and trying him out in the bullpen. HeÃ¢â‚¬â„¢s still got an option remaining, so if heÃ¢â‚¬â„¢s not ready to help the team out of spring training he can be sent down to Triple-A Louisville where he can get some work in. HeÃ¢â‚¬â„¢s a former top 100 prospect, but heÃ¢â‚¬â„¢s since had shoulder surgery that has cost him once top scale velocity. He still throws hard enough, but heÃ¢â‚¬â„¢s struggled with control for quite a while now as a starting pitcher. You can read more about him at the link above. Richie Shaffer will be 26-years-old when the 2017 season begins. HeÃ¢â‚¬â„¢s a former 1st round pick of the Tampa Bay Rays (2012) out of Clemson. He was quite successful in the minor leagues before the 2016 season, including a 2015 campaign in Double-A Montgomery and Triple-A Durham. Between the two stops, in 108 games he hit .267/.357/.539 with 27 doubles, a triple and 26 home runs. 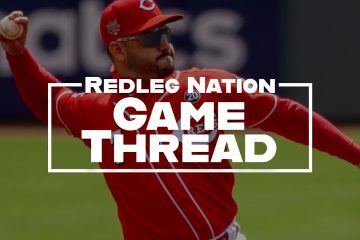 Reds lost C Juan Graterol on waivers to the D-backs. Claimed him from the Angels earlier in the winter. I’m actually okay with this. 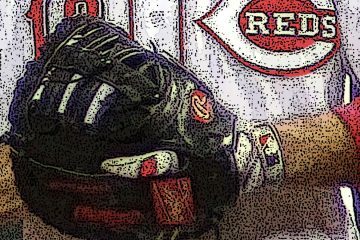 Now, if the Reds pull this trick next off-season, too…well, I’ll be less than happy. From the 2015 MLB Draft, No. 1 pick Dansby Swanson, No. 2 pick Alex Bregman and No. 7 pick Andrew Benintendi all reached the Major Leagues by ’16, the season after they were drafted. The Reds’ top prospect per MLBPipeline.com, third baseman Nick Senzel, certainly noticed. In related news, I want to be in the big leagues in 2017, as well. I see weÃ¢â‚¬â„¢ve reached the time on the baseball calendar when people are OUTRAGED over players who may have used performance-enhancing drugs. Honestly, IÃ¢â‚¬â„¢m not sure why Manny, Bonds, or Clemens are even permitted to live after purportedly committing heinous crimes against humanity. IÃ¢â‚¬â„¢d been carrying around my Hall of Fame ballot and the notebook I keep it in with my scribblings on all the players on the ballot for nearly a month when I finally checked the 10 names I felt deserved to be in that room next July. Being asked who belongs in that room isnÃ¢â‚¬â„¢t something I do lightly. I ask my head and my heart to make these decisions and itÃ¢â‚¬â„¢s not one thatÃ¢â‚¬â„¢s done lightly. IÃ¢â‚¬â„¢ve talked to those men both inside and outside the fraternity about what it means to be a Hall of Famer. IÃ¢â‚¬â„¢ve talked to other voters, fans both inside and outside the game. In the end, though, I have to vote on who I feel belongs. –Adam Duvall discussed his thoughts about the holiday season. In the interview, we learn that Duvall always falls asleep during movies, but the gold nugget is when Duvall reveals what gift he wants to get for Zack Cozart. Merry Christmas from Redleg Nation! The HOF just like the All Star game is a joke and a complete waste of time to follow. The HOF is a writer’s revenge or reward to players that they covered over the years. Remove the writers control on the HOF and I might actually consider it somewhat meaningful. I agree with you. But the NFL’s Pro Bowl still resides at the top of meaningless events. The Louisville Slugger factory museum is definitely worth a visit and just down the street (about 12 blocks) from Louisville Bat’s Slugger field….. LOUISVILLE, Ky. – Louisville Slugger Field has been voted the best Triple-A ballpark in America as part of Ballpark Digest’s “Best of the Ballparks 2016” contest. The bracket-style contest, which began with 30 total teams on May 11, ran for just over three weeks and lasted a total of five rounds. Louisville Slugger Field won the contest after defeating the Indianapolis Indians’ Victory Field in the final round by a difference of just 316 votes. In total, 14,356 fans voted during the final round of voting. oh yeah. Well I don’t even watch the NFL anymore. But yes even 25 years ago we had the NFL pro bowl where the players only go at 50% effort for show. They should bring back the battle of the stars where they do competitions instead of the actual pro bowl. As far as the pickups, I’m kind of excited about Richie Shaffer. His hitting up until last year was for real and his bb-rate has been strong throughout the minors. As for Jenkins, an arm is an arm and he has an option left so lets see what he has. I loved C. Trent’s article when I saw it the other day. He voted for 3 guys who I wouldn’t have but an argument could be made for all three of them. As for my take on the PEDs, yes it was cheating but there literally was no MLB rule against their use. Many of them got the PEDs prescribed legally even if for nefarious purposes. PED use in that era was rampant and these guys were still the best of that bunch. Maybe records wouldn’t have fallen but we aren’t necessarily talking about records. We are talking about were these players among the best ever to play the game? If you think so, then they should be in. If you don’t think so, you may be turning a blind eye to the fact that others using PEDs at that time weren’t nearly as good are not in the HoF discussion. Or you may feel that they just wouldn’t have been good enough without the PEDs. That’s up to you to decide for yourself. My opinion is that Bond may have been the best hitter I’ve ever seen. The PEDs helped but even without them, he’s a likely HoF player.